There are a few options for confirming stuck transactions. If you are incapable of performing any of the other options are are too afraid to do so, you can simply wait and hope that the transaction will eventually confirm. To make sure that network is constantly being reminded of the transaction, you can rebroadcast the transaction periodically. Most wallets will rebroadcast automatically, so simply leaving your wallet open will allow rebroadcasting to happen. If a transaction remains unconfirmed for too long, it can be eventually "forgotten" by most nodes on the Bitcoin network if no one rebroadcasts the transaction. This happens due to node restarts, mempool expiry times, or mempool eviction because the minimum relay fee has increased. This process typically takes a few days (usually 3). Once a transaction has been "forgotten", you may not see it in your wallet and you probably will not see the transaction in most block explorers. Once the transaction has been "forgotten", you can simply send the Bitcoin again but include a higher transaction fee. If you still see the transaction in your wallet, you will need to follow the instructions in the next Replace-By-Fee Section. Some mining pools and miners offer services to allow you to prioritize your transaction in their mempool so that it is chosen sooner for inclusion in a block. You can contact the users Quickseller and macbook-air. These two users have access to F2Pool's transaction selector and they can help you with confirming your stuck transaction. You can also try using https://www.viabtc.com/tools/txaccelerator/ to "accelerate" your transaction. Note that ViaBTC does have a limit the accelerator to 100 transactions every hour and requires that it pays a minimum fee rate of 10 satoshis/byte, so their accelerator may not necessarily work. Also note that if you attempt an Replace-By-Fee transaction, both the original transaction and the RBF transaction will be considered double spends and miners will likely not help with any transactions marked as double spends. Replace-By-Fee transactions have 3 different types, First-Seen-Safe(FSS) RBF, Full RBF, and Opt-in RBF. FSS RBF requires that the RBF transaction include the same outputs as the transaction it replaces and consumes the same inputs. Full RBF means that the transaction is simply a double spend of another transaction but pays a higher transaction fee than the one(s) it replaces. Opt-in RBF means that the RBF transaction can only replace a transaction that has Opted-in to allowing itself to be replaced. Opt-in RBF follows [urlhttps://github.com/bitcoin/bips/blob/master/bip-0125.mediawiki]BIP 125[/url]. Making a Full RBF transaction depends entirely on the wallet that you are using. Some wallet support the advanced functionality required to make a Full RBF transaction, others do not. The following will be guides for each wallet on how to make a Full RBF transaction with that wallet. In general the procedure is to remove the unconfirmed transaction from the wallet and then resend the Bitcoin but with a higher transaction fee. When making a Full RBF transaction, the transaction should include the recommended fee rate at the time of creating the transaction. See the "Avoiding this issue in the future" section for help with that. Bitcoin Core makes making Full RBF transactions very easy. Simply go to the transactions list, right click the transaction that is stuck, and choose the "Abandon Transaction" option. If that option is greyed out, then you must restart Bitcoin Core with the -walletbroadcast=0 option and then you should be able to use "Abandon Transaction". If the above two options fail for some reason, then you can start Bitcoin Core with the -zapwallettxes option to clear all unconfirmed transactions from your wallet. MultiBit HD allows for making Full RBF transactions fairly easy as well. Go to Manage Wallet and click on Repair Wallet and follow the wizard. This process will clear all of the unconfirmed transactions from your wallet much like Bitcoin Core and Armory do. 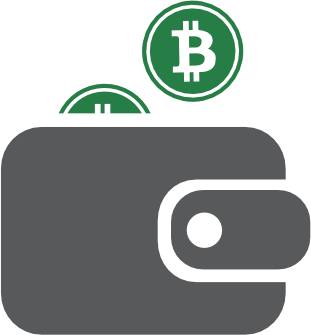 Once repair wallet has completed, simply send the Bitcoin again as you normally would. A Child-Pays-For-Parent (CPFP) transaction is exactly as the name implies, a child transaction spends from an unconfirmed parent transaction and includes a transaction fee which covers both the fee of the child and the parent. However creating CPFP transactions are much more difficult as it requires spending from an unconfirmed transaction, something that most wallets do not allow. The best way to avoid having stuck transactions is to make sure that you are not spending from an unconfirmed transaction, and include a sufficient transaction fee. If your wallet supports dynamic transaction fees, you should use those. If you want very fast confirmations, set the dynamic fees to choose the fastest fee possible. Dynamic fees are calculated by the wallet by analyzing the current state of the network and determining an optimal transaction fee from there. Because the state of the network constantly changes, the optimal transaction fee calculated one day may not necessarily be the best fee for the next day. Electrum is, as far as I know, the only wallet that supports the creation of Opt-In RBF transactions and their replacements. This article is blatant plagiarism from my Bitcointalk thread: https://bitcointalk.org/index.php?topic=1802212.0. As the author of this text, I demand that you either take down this article or properly cite your source and give credit to the author (myself). Added Source https://bitcointalk.org/index.php?topic=1802212.0 and Author achow101 to the article. thank you.